Locality: United States, Colorado, Boulder, Long Canyon, Green Mountain, near the Betula papyrifera grove. Habitat: On wooded slopes with Pinus ponderosa. 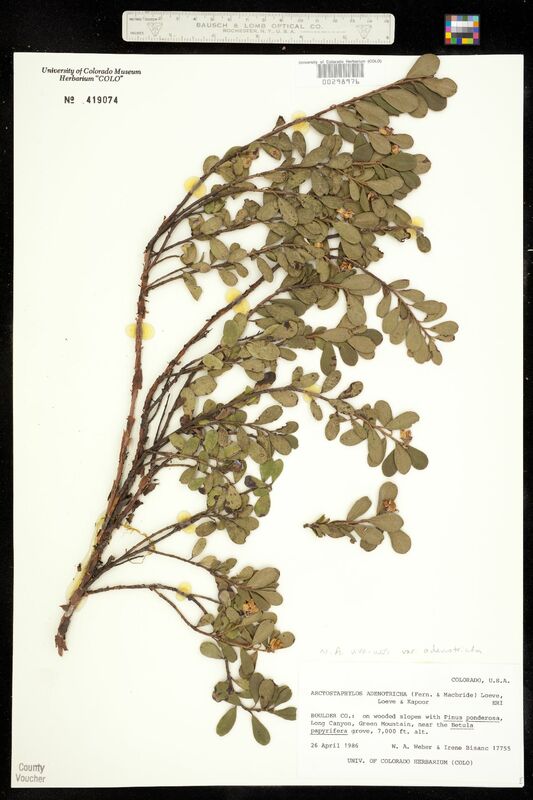 Notes: Original ID as Arctostaphylos adenotricha (Fern. & Macbr. ), Love, Love & Kapoor.